In 1896, Henry A. Allison was among six runners competing in a five mile cross country race that stretched along routes that have long since been reconstructed in the downtown Buffalo, New York area. 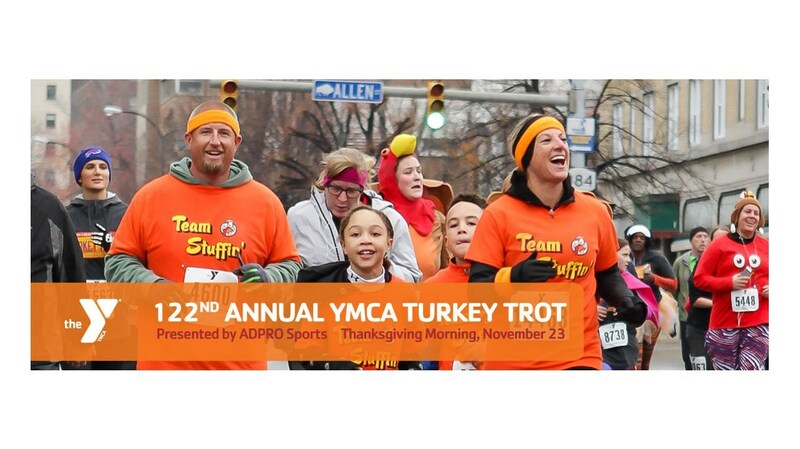 Little did Allison know he would become the first winner of the YMCA Turkey Trot, a race that would long outlive him. In those early days, runners paced along rugged dirt roads. It wasn’t until the mid-1900s that the race was run on pavement. Through the years, the Turkey Trot has crossed paths with runners of various styles, attitudes, and ages. The race attracts not only serious runners, but also amateur, masters and team competitors. The team competition had a rocky start during the 1899 race when John Coleman, a member of the Buffalo Team, was charged with riding part of the race in a wagon. When officials discovered this, the team was disqualified and the victory went to Rochester. One of the most entertaining features of this race is the large field of competitors who dress in costume. In addition to the field of traditional Thanksgiving themed characters, you’ll also find plenty of superheroes, hockey players, a bunch of bananas and even the Gingerbread Man to name a just a few, trotting down Delaware Avenue on race day. One notable runner, Gus Gressel, started running the race in 1907, and minus the one year he missed the race due to a leg injury, didn’t stop until well into his 70s! Gressel spent nearly 50 years running the Turkey Trot and won the race the first time he ran it. His son, Ed, competed with his father in 1916, and it was Ed who took home the victory that year. Some other notable male competitors after the Gressel years, include Mark Finucane of Buffalo, who won four straight Turkey Trot victories from 1980 – 1983, and David O’Keefe who holds the record for the best running time, 23:13, in 1989. The youngest person ever to take home the overall winner’s trophy is Anthony Diamond, who at the age of 15 crossed the finish line first in 1944. Sixty years later in 2004, 11-year-old Jacy Christiansen became the youngest woman ever to take first place female honors, crossing the finish line in the 102nd overall spot with a time of 30:09. Age is definitely just a number when it comes to the multi-generations that make up the field of runners each year. Women did not actually join the field of runners until 1972. 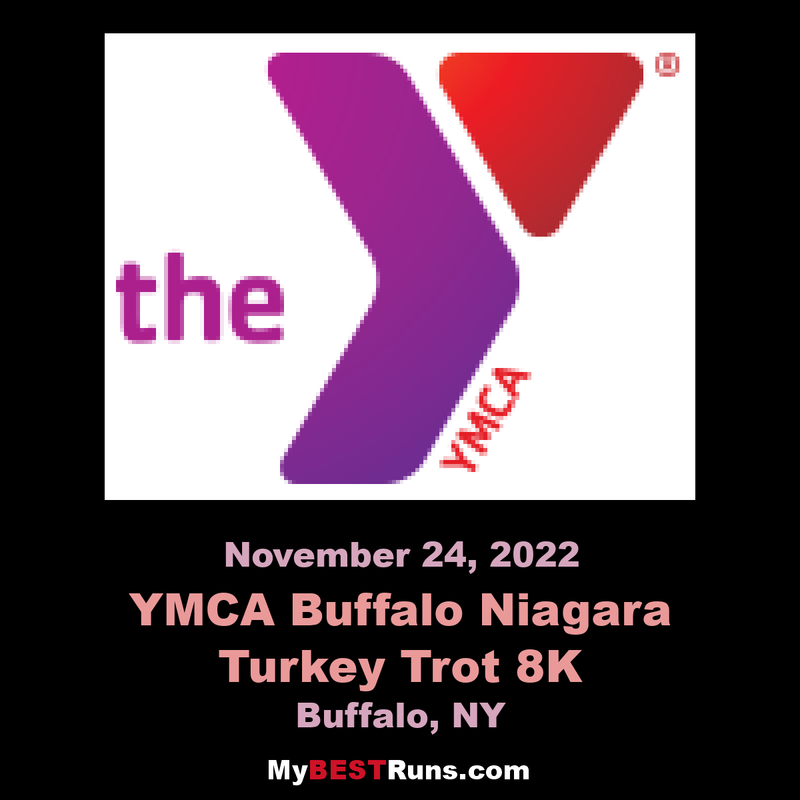 The first woman to enter the YMCA Turkey Trot was Mary Ann Bolles, who placed 142 out of 169 finishers. The most distinguished female runner is Victoria Mitchell who was the overall female winner eight times – in 1991, 1992, 1994, and 1996–2000. Victoria holds the female record for best running time, 26:21 in 1998. The 100th anniversary of the race, held in 1995, saw a record 6,003 runners registered and 5,480 cross the finish line. 2002 was also a year to remember when Mother Nature treated us to a record snowfall that shut down the city just three days before the race. 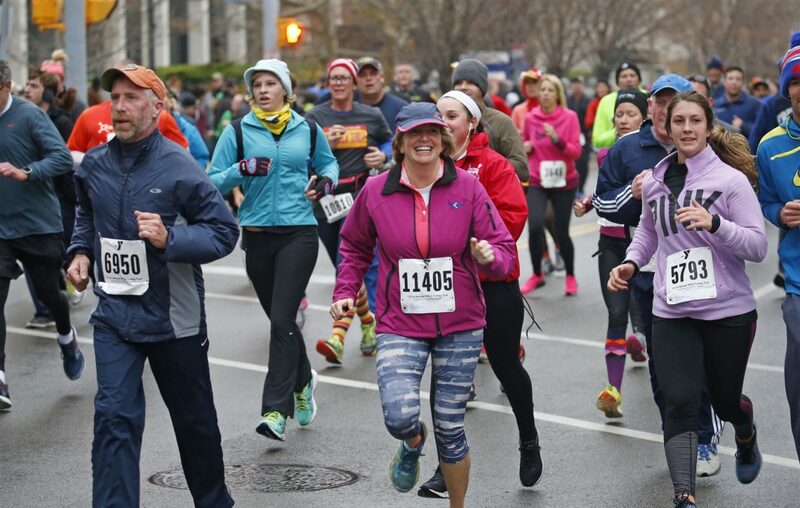 Thanks to the efforts of Buffalo’s leaders and snow removal crews, the streets were cleared in time for the just over 3,500 runners to run the race and help keep the Turkey Trot’s record as the ‘oldest continually run footrace in North America’ alive. The participant field crossed the 10,000 threshold in 2008 and continued to steadily grow, capping out at 14,000 for the past several years. Runners come from all over the United States, Canada and even a few from overseas. 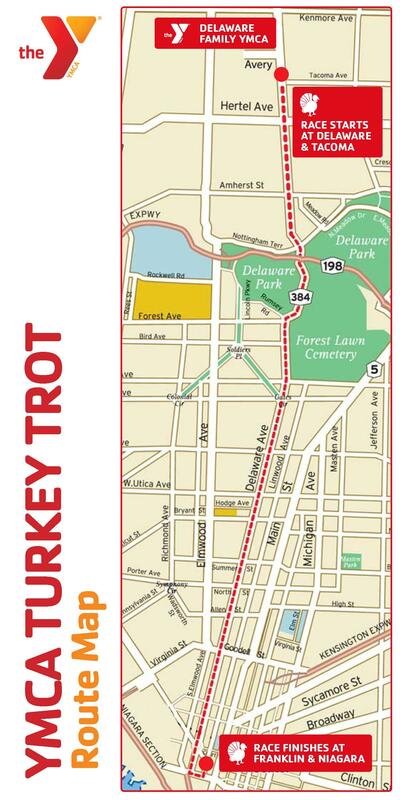 In fact, runners from as far away as Ireland and Australia have taken part in the Turkey Trot at one time or another. Quite a difference from 1896!